New Hampshire State Police say a man was killed in a near-head-on crash on Route 10 in Winchester Thursday night. Officers responded to the scene two miles north of the Northfield, Massachusetts, state line around 5:30 p.m.
Police learned Eric Williams, 29, of Springfield, Massachusetts, was driving northbound and crossed the center line and crashed into a vehicle being driven by Gregory Wilson, 66, of Jacksonville, Vermont. Williams was taken to Cheshire Medical Center in Keene, where he died from his injuries. 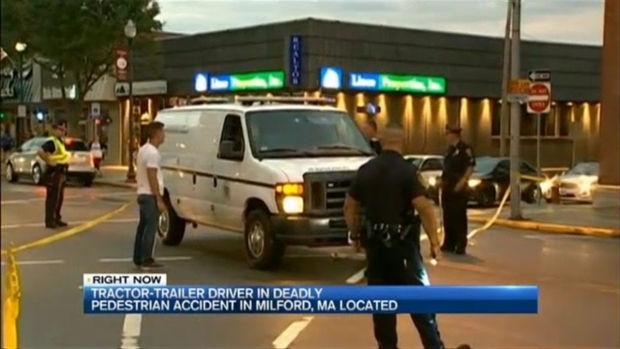 A 65-year-old woman was struck and killed by a tractor trailer Thursday in Milford, Massachusetts; the driver left the scene but later turned himself in. Wilson was taken to Franklin Medical Center in Greenfield, Massachusetts, with non-life-threatening injuries.